Do you like your chips with or without the guilt? Sample bags of snack chips keep showing up at the Houstonia office. "Why are snack chips suddenly so hot?" I asked rhetorically. "Because of PopChips," one young art department wag noted. 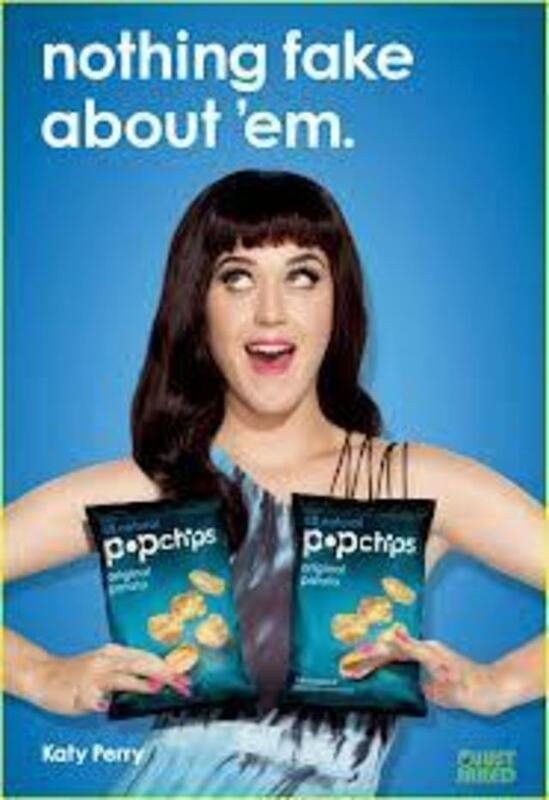 "You know, PopChips, Ashton Kutcher? Katy Perry?" he said, trying to clue me in. Back at my desk, after a few minutes of research studying Katy Perry photos, I got it. PopChips are really hot—and so are chips in general in the wacky world of marketing. 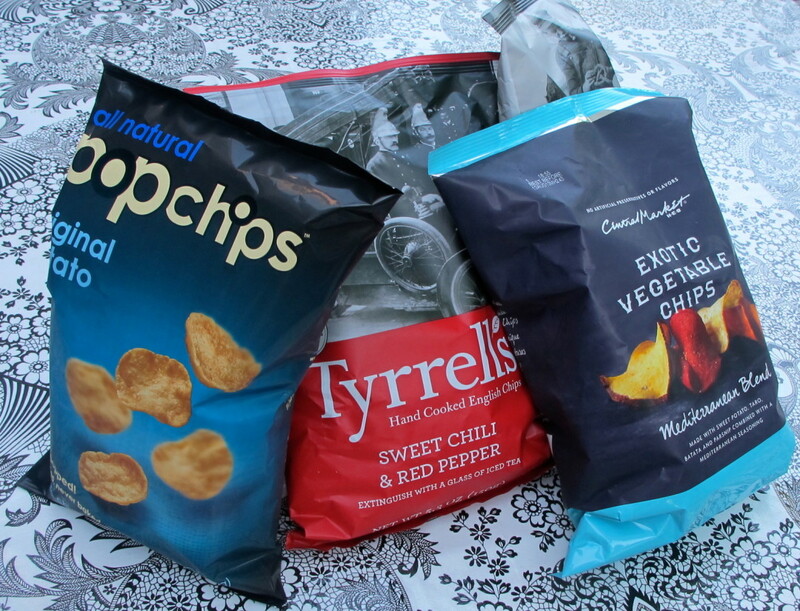 There were so many chips laying around the office, we put them to good use—we had a taste test. I opened four bags of chips and put a comment sheet next to them soliciting opinions. It hardly seemed fair to compare hand-crafted, cheddar-flavored Tyrell's English potato crisps with some of the crafty wafers that were trying so earnestly to be healthy, but what the hell. 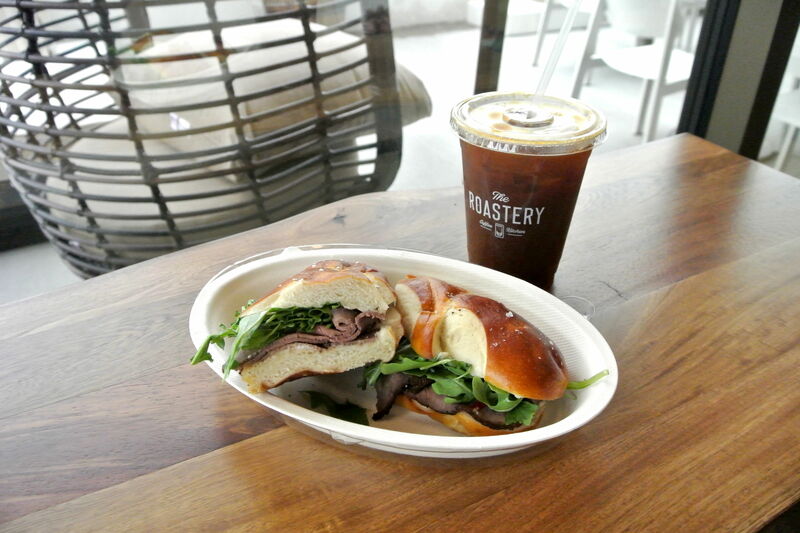 If it doesn't taste great, who cares if its good for you, right? 1. 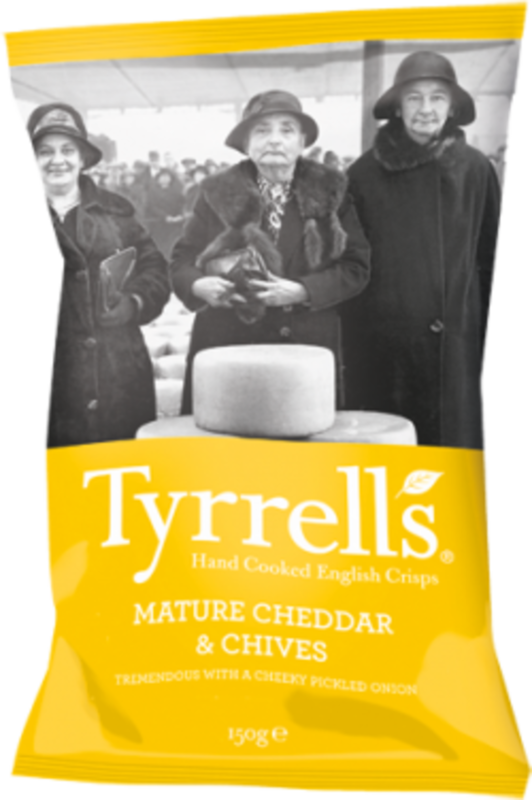 Tyrell's English Crisps, Mature Cheddar and Chives: The hands-down winner—English chip company Tyrrell's makes their "crisps" from Herefordshire potatoes cooked by hand in small batches with the "jackets" (potato skins) left on. 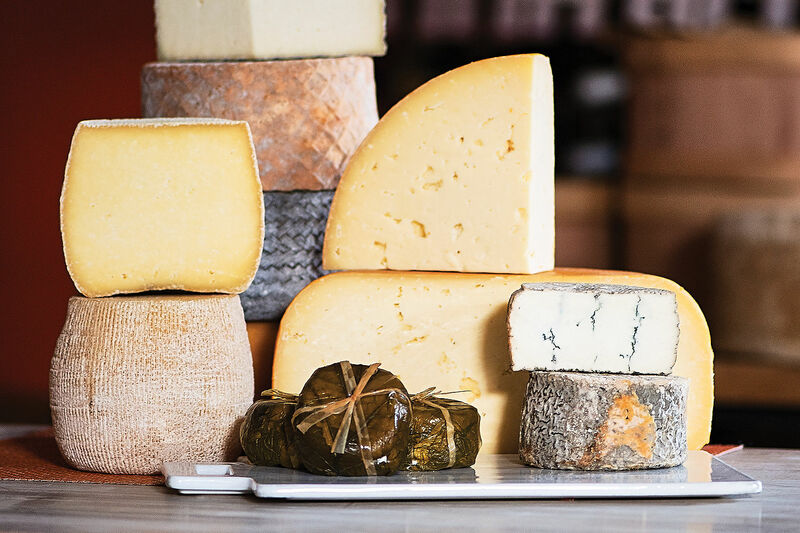 We tested the "Mature Cheddar and Chives" flavor. Other favorits included Sea Salt & Cider Vinegar and Sweet Chilli & Red Pepper. 2. Central Market Exotic Vegetable Chips, Mediterranean Blend: The runner-up in this competition predictably has all the fat and salt of a regular potato chip, but it's made with sweet potatoes and beets and other such healthy-sounding vegetables, with a fabulous spicy flavoring. 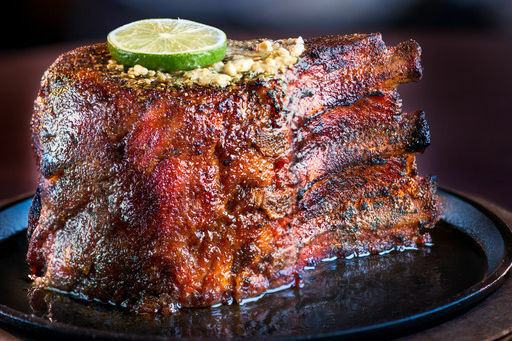 Too good to be healthy? The chip itself has a lot of flavor. 3. PopChips Original Potato: The top-ranked healthy chip is not fried or baked, but popped. It has half the fat of regular flavored chips and a nice potato chip-like taste, appearance and texture. Having Katy Perry and Ashton Kutcher doing the ads doesn't hurt either. 4. Simply7 Pomegranate Chips: Made with gluten-free natural ingredients with no additives or preservatives and no trans fats or cholesterol, these healthy chips scored last in our tasting. But two of our tasters really liked them. Fruit Loops with a hint of salt.